Republican leaders are expected to drop a political stinker on President Donald Trump by mid-December: a donor-backed amendment that would allow investors to import more college-graduates from India to take jobs now held by American college graduates. The GOP-run amendment puts 300,000 imported Indian temporary workers and 300,000 of their family members on a fast-track to green-cards, Americans’ jobs, citizenship, and the ballot box — but it provides no benefits to middle-class Americans. The GOP amendment would provide Democratic-leaning donors with more imported white-collar workers, more temporary workers, more profits, and higher stock values — but it provides nothing to help the GOP win the 2020 election. Yet the little-known amendment “is very much alive,” a source told Breitbart News. The amendment is hidden in House’s 2019 draft budget plan for the Department of Homeland Security. Reporters have almost entirely ignored the amendment while they focus on the debate over border-wall funding. In turn, business-friendly GOP staffers and legislators do not see the amendment’s political danger or the public opposition, the source said. 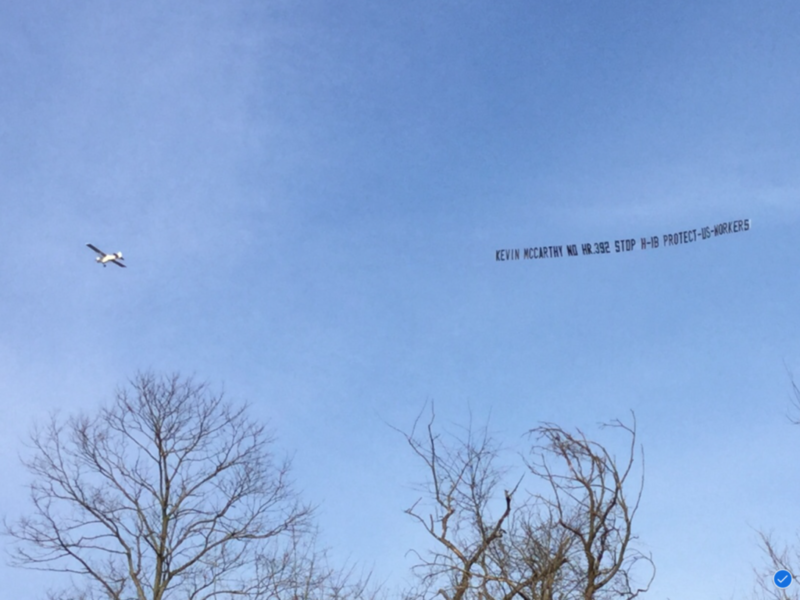 The banner was flown by the same professionals’ group that posted billboards against Kansas Rep. Kevin Yoder, the leading advocate for the business-backed amendment. Yoder chairs the House homeland defense appropriations bill, but he lost his race in a suburban district with a large share of college graduates. Yoder added his outsourcing amendment in July to the 2019 DHS budget to help win support from roughly 20,000 naturalized Indian immigrants in his district, many of whom are former contract workers. OK, this is pretty nuts. In Midwestern districts (+Pennsylvania, which I think of as part of the "political Midwest") where at least 35% of the population has a bachelors' degree, Democrats cleaned up, going from a 10-16 deficit in House seats to a 20-6 advantage. But the GOP’s passage of the green-card giveaway in the 2018 lame duck will leave GOP legislators — and Trump — with few tools to woo those suburbanites back to their side in 2020. “It will be very difficult for [GOP] representatives to argue [in 2020] that they are the party of higher wages for regular workers if they are backing these guest worker increases,” said Mark Krikorian, director of the Center for Immigration Studies. But the political opportunity is there because “the Democrats have given up; they could not care about regular workers,” he added. Trump has given no indication so far that he will oppose the Yoder amendment and, instead, may support it during negotiations to win $5 billion for border wall funding, Krikorian said. Yoder’s college grad outsourcing amendment is buried in the 2019 funding bill for the Department of Homeland Security. The amendment is marketed as a fair-minded fix to “country caps” that advocates say is an unfair flaw in migration law. But the amendment fix for “country caps” would have many knock-on impacts in the nation’s very complex immigration laws. The amendment would offer fast-track citizenship to 300,000 Indian college graduate contract workers — as well as 300,000 of their family members. Once they visa workers get green cards, they can compete for white collar jobs nationwide. 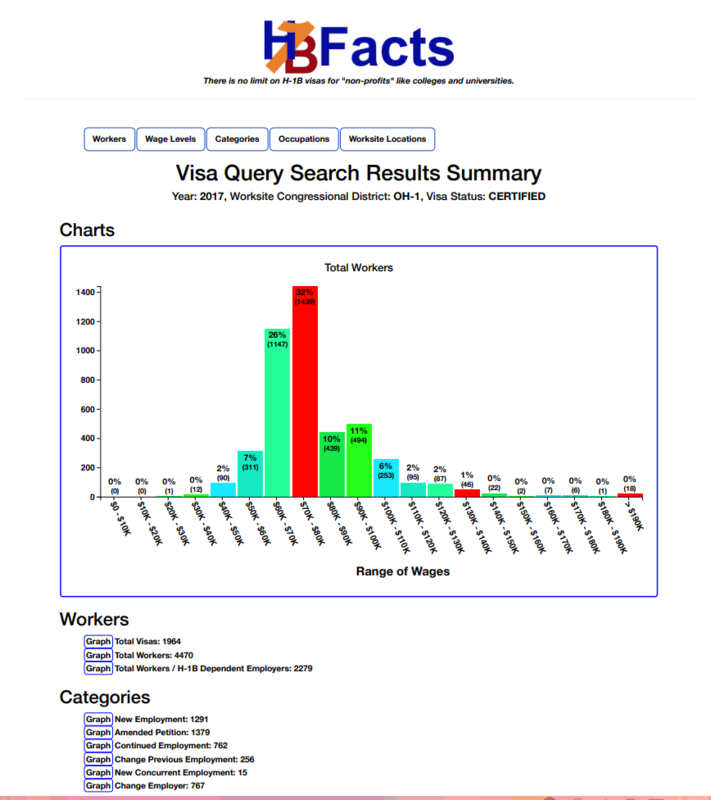 The beneficiaries also include 50,000 Chinese visa workers, according to DHS data. Starting in 2024, the beneficiaries could become citizens and begin voting for politicians who support more immigration into the United States. Also, the amendment would enable U.S. and Indian outsourcing companies to import many additional India contract workers, further constricting salaries for millions of other American graduates and voters. The amendment would also displace would-be migrants from other nations for several years, ensuring a political backlash in 2019 from many other groups and companies championing non-Indian college graduates who want to migrate into the United States. Critics say Indians (and some Chinese) will take all the business-granted green cards for the next decade. The bill likely would spur the economy and aid business and investor groups, partly because every dollar gained in profit dramatically multiplies stock values on Wall Street. But the bill expands the economy, profits, and stock values by importing more cheap foreign workers to displace many American graduates and by slowing salary increases sought by many American graduates. These complexities force GOP leaders — including McCarthy and Trump — to make a strategic choice: do they want to enter the 2020 campaign backed by many happy college grad voters or by a few happy donors? The law allows companies to annually sponsor roughly 140,000 foreign college graduates for green cards. But the law also seeks to spread out the award of green cards to many countries, so it says no more than seven percent of those green cards are allowed to people from any one country. In practice, various loopholes allow about 23,000 Indians to get green cards each year, or about 16 percent of the annual supply. But even with the 16 percent share, there is a huge backlog of 300,000 Indian outsourcing-workers — as well as roughly 300,000 family members — in the waiting room for the EB-1, EB-2, and EB-3 green cards. College-graduates from other countries have very short wait times before getting their green cards. Yet the backlog is a good thing for outsourcing companies because the vast majority of green card applicants arrive in the United States on time-limited, temporary work visas, such as the H-1B and L-1 visas. Normally, the visa workers have to go home after several years, setting an effective cap on the number of visa workers who can hold jobs in the United States. But the visa workers are allowed to stay once their employers sponsor them for green cards. This rule means that sponsored visa workers can keep working while waiting to get their green cards, sometimes many years later. The green card waiting room is filled with Indian contract workers because many brand-name U.S. companies have created a huge, complex, profitable, and hidden outsourcing business with Indian companies such as Tata or Cognizant. The U.S. companies who openly, covertly, and indirectly participate in this labor-trafficking business include Intel, Facebook, Microsoft, Amazon, and Deloitte. The primary companies’ names are shown here. The number and location of the outsourcing workers can be researched here, and the data about green cards can be researched here. 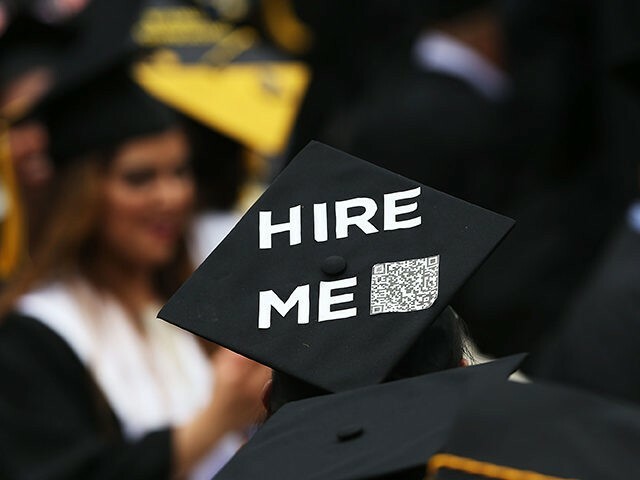 Overall, the Indian outsourcing business likely keeps about 600,000 Indian college grads in U.S. jobs, including the 300,000 in the work-and-wait line. Another working population of at least 200,000 former Indian contract workers are now green card holders or American citizens. The overall population of white-collar outsourcing workers is about 1.5 million. This includes about 650,000 H-1B employees, about 400,000 OPT and CPT employees, about 200,000 L-1 employees, 100,000 H4 EAD workers, as well as additional TN, O-1, J-1, and E-2 workers. This population is almost twice the population of 800,000 American college graduates who earned skilled degrees in 2017. The impact is also far bigger than their numbers suggest. The Indian outsourcing workers help U.S. clients transfer many other jobs to India worksites. One former outsourcing manager told Breitbart News that many U.S.-based outsourcing workers help manage additional U.S. work outsourced to India-based workers. Overall, outsourcing by U.S. and European companies adds more than $150 billion to the Indian economy. The outsourcing industry creates additional problems, such as database security for Americans’ private financial and health data, and pressure on young Americans to avoid careers in technology and science. The outsourcing is also blamed for extensive technology theft and technological failures, such as the opening-day failure of President Barack Obama’s online marketplace for health insurance. This massive outsourcing exists because it lowers salaries and raises stock values. For example, the salaries for 21 million “professional and business services” employees rose by just roughly one percent after inflation from the second quarter of 2017 to the second quarter of 2018, according to the Bureau of Labor Statistics. Their after-inflation pay was flat from 2o15 to 2016. But the current outsourcing is not big enough for high-tech investors and CEOs in Trump’s go-go economy. For example, salaries for 2.8 million information workers rose by 9.1 percent in the 2017 to 2018 period — far faster than the 5.6 percent rise in the prior 2016 to 2017 period. Those rising salaries are transferring wealth from stock values to salaried employees and voters. For example, the “S&P 500 Information Technology” stock index is down 13 percent since October 3. Unsurprisingly, business wants more outsourcing workers, more college-graduate immigrants, more blue-collar immigrants, and it wants the Yoder amendment to pass. Yoder’s amendment is a copy of the House H.R. 392 bill. The companion bill in the Senate is S.281, which Utah GOP Sen. Mike Lee is pushing. “Over 100 lobbyists worked on the original H.R. 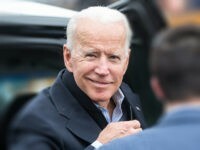 392 bill, representing companies like Microsoft, Texas Instruments, IBM, Amazon, and Bangalore-based tech-giant Infosys LTD,” according to a report by OpenSecrets.org, a site that tracks political donations and lobbying. The lobbying by business groups is tracked here and here. Amazon applauds @KevinYoder on the passage of his amendment to the @DHSgov appropriations bill, H.R. 392, that would remove the per-country limit on green cards. This is an important step towards green card reform, and Amazonians thank you for your leadership on this issue. The pressure for the Yoder amendment is coming from Silicon Valley’s progressive executives who loudly endorse and fund Democrat candidates even as they gain from the GOP’s tax bill and Trump’s face-off with China. If Yoder’s amendment is included in the DHS bill, those CEOs and executives will be able to curb their employees’ salary growth by importing many more cheap workers from their allied CEOs in the Indian outsourcing companies. The U.S. companies will be able to get even more workers because Yoder will allow the American and Indian companies to deliver at least 100,000 green cards to Indian employees each year, not just 23,000 cards each year. Those green cards are so fantastically desirable that many Indians make a conscious choice to get them by working for ten or more years in outsourced U.S. jobs at relatively low wages, for long hours, and in terrible conditions. That reality is demonstrated by the population of 300,000 Indians who are waiting-and-working for periods ranging from a year to more than 15 years to one of the 23,000 Indian green cards each year. Most Americans do not understand the allure and value of the green cards, which are so casually handed out by federal immigration laws. Green cards are Golden Tickets for a few of the billions of people unlucky to be born into undeveloped societies that are bogged in corruption, pollution, and disease, and that are constrained by tribe, caste, and religious restrictions. Each green card allows one foreigner to be born again as a full and equal American and to carry their spouse, parents, children, and in-laws — as well as all of their future grandchildren, great-grandchildren and their descendants — into a low-corruption, caste-free society where their children can marry the sons and daughters of elite Americans. America’s streets are not paved with gold, but they are scrubbed to minimize tribe, caste, and routine government corruption. So if U.S. and Indian companies can freely offer more of these government-granted green cards each year to Indians, then more Indians will rationally compete for the sponsorship prize by working long hours at low wages and in terrible conditions for many years. For example, if the Yoder amendment drops the work-and-wait time to just five years, what reason would prevent 500,000 Indians from volunteering to work as underpaid outsourcing workers? If another 500,000 Indians are willing to wait ten years for cards, then the outsourcing companies should be able to pack one million Indians into the 100,000-cards-a-year work-and-wait line. This ten-year scenario would give the outsourcing companies another 700,000 Indian college graduate workers — above the current 1.5 million workers — to outsource more of the decent jobs that are sought by college graduate Americans from Alaska to Florida, from Maine to California. Are there limits on visa-worker outsourcing? 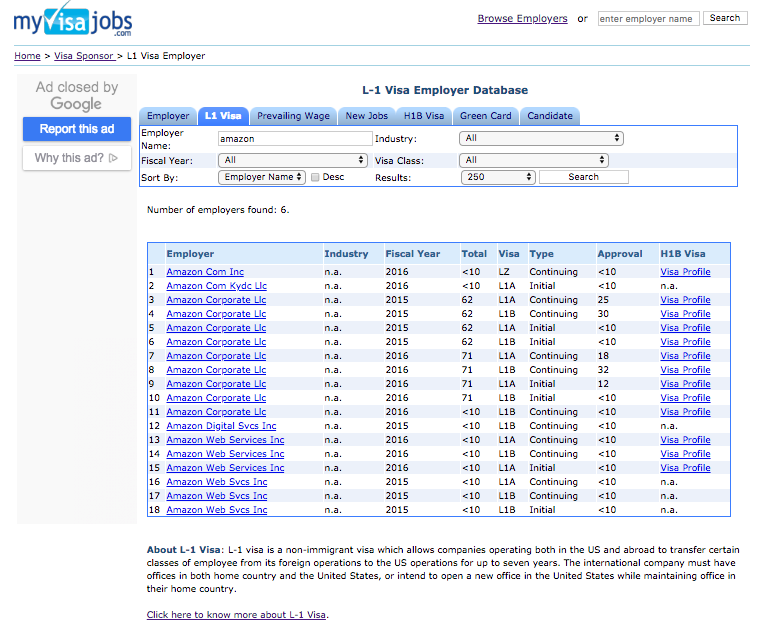 The inflow of visa workers is partially limited by the H-1B program. The H-1B program annually provides 85,000 work visas to foreign graduates hired by small and large companies. Some of these H-1Bs are hired by elite companies because they are extraordinarily capable, but most are hired to replace Americans. Importantly, there is no cap on the number of H-1Bs hired by nonprofits. This allowed nonprofit employers to import another 18,000 “cap exempt” workers in 2017 for jobs at hospitals, government agencies, universities, and the various nonprofit partnerships established by universities and companies. This 100,000 annual inflow means the resident population of H-1Bs is roughly 650,000, including the 200,000-plus H-1Bs in the work-and-wait line. Under his “Hire American” inauguration pledge, Trump’s deputies are helping American graduates by tightening oversight of the H-1B program. But the Yoder plan would bust those curbs and allow all Indian H-1Bs to stay in the United States and, therefore, would convert the H-1B temporary visa into a college-graduate outsourcing program. Moreover, there are no caps on the little-known L-1 visa-worker program, except for bureaucratic instructions which each administration sets for the DHS and State Department employees who approve the L-1 visas. Many U.S. and Indian companies quietly use the L-1 visa to import cheap Indian workers. The L-1 visa keeps roughly 400,000 foreign workers — and many spouses — in U.S. jobs. Federal data does not show how many of the L-1s are working in white collar jobs, and advocates say some L-1s are needed to help install foreign investments in U.S. work sites. If the [immigration official] determines that the total compensation offered meets or exceeds the required minimum wage, but that compensation is significantly lower than the Beneficiary’s peers or the particular industry, the Director may also consider that fact when re-evaluating the totality of the evidence relating to the Petitioner’s specialized knowledge claim. That L-1 combination — uncapped numbers, low wages, and fast-track green cards — would allow foreign companies to recruit many low wage Indian workers to win more outsourcing contracts in the United States. So Yoder’s supercharged outsourcing machine could make it possible and profitable for U.S. and Indian companies to bring in more Indian workers to underbid American professionals in many business sectors, especially in hospitals, clinics, and healthcare companies around the nation. Many other companies would gain as discarded American professionals flood into other sectors, forcing down salaries for college-graduates from coast to coast. What does Congress know about this outsourcing process? In late July, Yoder added his amendment to the 2019 DHS appropriations bill. The dramatic amendment passed in a unanimous voice vote, partly because Yoder used his influence as chairman of the DHS panel to sway GOP committee members. Retiring committee chairman Rodney Frelinghuysen did not object. The amendment got minimal pushback from the administration because it was a surprise for DHS officials and because it was not opposed by the White House’s business-first Hill liaison team. The team is led by Shaira Knight, who is expected to return to her investment banking career in the next few years. Also, business groups have changed their lobbying strategy since the failed “Gang of Eight” amnesty legislation proved disastrous to the Democrats’ Senate majority in 2014. To pass the Yoder amendment, business lobbyists chose a stealth strategy that minimizes public debate and opposition. The Senate version of the Yoder amendment has 20 cosponsors, including 11 Republicans. The House bill, H.R. 392, has 329 cosponsors, largely because large groups of Indian visa workers — not citizens — have quietly lobbied GOP staffers and legislators in their districts. Too early to say anything definitive about asylum plan in Mexico. There is a way to do this (where you create a real refugee program and take in a legitimate number of people) that would indeed work and reduce the number of border crossers. But is that what will happen here? The amnesty bill that Schumer and Fresco wrote was so unpopular that it helped lose the Democrats nine Senate seats in 2014.
Business groups and Democrats tout skewed polls that prod Americans to declare support for migrants and for the claim that the United States is an economy-expanding “Nation of Immigrants,” not a nation of Americans. 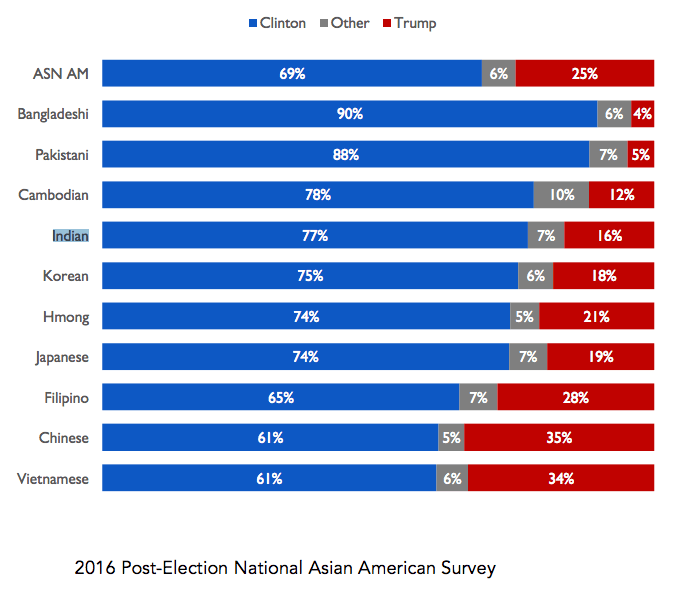 The alternative “priority or fairness” polls — as well as the 2016 election — show that voters in the polling booth put a much higher priority on helping their families, neighbors, and fellow nationals get decent jobs in a globalized, high-immigration economy. There is no evidence that Yoder’s amendment will help the GOP win votes from new immigrants. So far, few GOP or Democrat staffers have seen any critical coverage about the legislation, partly because it is complex, but also because it is rarely covered by migrant-friendly reporters working on the immigration beat. For example, the Washington Post has not published a single article about the Yoder amendment’s impact on American workers. The Senate’s version of the amendment, titled “Fairness for High-Skilled Immigrants Act of 2017,” is supported by GOP Sen. Jeff Flake, Sen. Roy Blunt, Sen. Susan Collins, Sen. Paul Rand, Se. nJerry Moran, Sen. Rob Portman, Sen. Cory Gardner, Sen. Roger Wicker, Sen. Tom Cotton, and Sen. James Lankford. The House bill is supported by GOP Rep. Elisa Stefanik, Rep. Susan Brooks, Rep. Cathy McMorris Rodgers, Rep. Dan Newhouse, Rep. Adam Kinzinger, Rep. Peter King, Rep. Steve Stivers, Rep. Kay Granger, Rep. Don Bacon, Rep. Tom Cole, Rep. Bill Johnson, Rep. John Rutherford, Rep. Denny Heck, Rep. Tom Reed, Rep. Scott Tipton, Rep. Brian Mast, Rep. Jackie Walorski, Rep. Matt Gaetz, Rep. Greg Walden, Rep. Mike Gallagher, Rep. Doug Lamborn, Rep. Andy Harris, Rep. Mike Bost, Rep. David Rouzer, Rep. Ken Buck, Rep. Lee Zeldin and numerous others. The lack of media coverage makes it difficult for pro-American groups to make their case to GOP legislators. But the media silence has prompted the Protect U.S. Workers group to begin lobbying legislators to save their jobs and careers. The group includes both American-born and immigrant graduates who see their jobs and careers being outsourced to Indians and Chinese. The group also argues that their billboards in Yoder’s district help cause his defeat. The GOP will lose the vote of American Workers and American Suburbia if they push bills HR392/HR6776. These bills have been quietly championed by foreign agents and will change our Diversity Immigration Act of 1965 by giving only the country of India green cards for the next six to eight years. The reasoning behind these bills is to grant the large influx of India H1B temp visa workers brought in by Congress permanent status. In 2017, Congress has allowed approximately 1.1 million foreigners on H1B temp visas to remain in the Country to compete with American workers and make salaries of approximately 87 billion. Over the past several years, hundreds of thousands of American workers affected by H1B visa abuse have had to lose their careers, homes, train their foreign replacements and/ or have had a substantial wage decrease. This is a direct result of the continuous influx of India born H1B visa holders coming into the United States. Far too many years have gone by where Congress has ignored the cries of American families and has instead fought against us in order to supply the corporate thirst for cheap foreign labor. The Protect U.S. Workers organization has joined hands with Americans and organizations across the country affected by the H1B visa abuse schemes. Americans are outraged that instead of coming to the defense of American people harmed by the H1B visa abuse, Congress is instead pushing bills which reward the foreigners on H1B visas with green cards. We urge Congress to realize that their negligent H1B legislation is destroying the American economy, as well as, countless American families across our great Nation. This negligence is being carefully monitored by American voters. Protect U.S. Workers recently put up Billboards across Kansas in order to educate voters that Rep.Kevin Yoder was championing Bill HR392, as a result Rep. Kevin Yoder was badly defeated. Protect U.S. Workers also alerted voters that Rep.Pete Sessions, as Chair of the Rules Committee, was not acting in American workers best interest. Rep Pete Sessions was also defeated. Protect U.S. Workers and American voters across the country are closely watching these bills and we are prepared to take aim at the members of Congress and the party who puts the interests of foreigners, who lobby them, over the interests of the American people. The group shows that blue-collar opposition to cheap-labor migration is expanding into white-collar concern about immigration-aided outsourcing. If salary-raises stall in 2019 and 2020, the middle class will react once it recognizes how their jobs — and their children’s jobs — are being outsourced to aid wealthy investors on Wall Street. In the United States, the establishment’s economic policy of using migration to boost economic growth shifts wealth from young people towards older people by flooding the market with cheap white collar and blue collar foreign labor. That flood of outside labor spikes profits and Wall Street values by cutting salaries for manual and skilled labor that blue collar and white collar employees offer. The policy also drives up real estate prices, widens wealth gaps, reduces high-tech investment, increases state and local tax burdens, hurts kids’ schools and college education, pushes Americans away from high-tech careers, and sidelines at least five million marginalized Americans and their families, including many who are now struggling with fentanyl addictions. Immigration also pulls investment and wealth away from heartland states because coastal investors can more easily hire and supervise the large immigrant populations who prefer to live in the coastal states. In his November 29 comments, Ryan complained that the GOP was heavily outspent by the Democrats despite passing the business-friendly tax code.